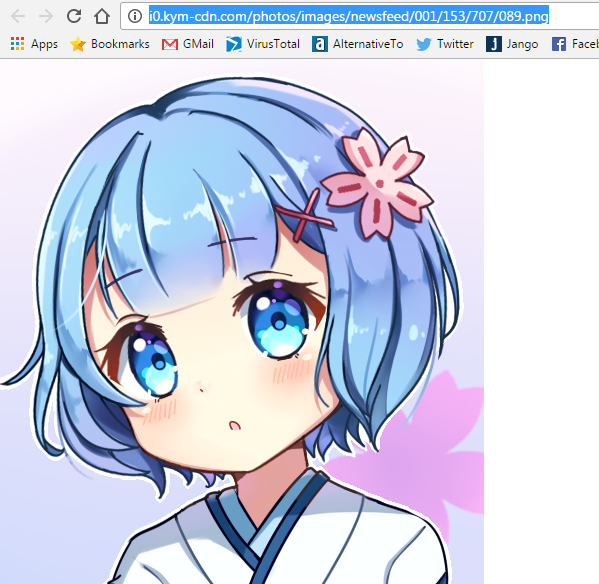 [Guide] Reverse Anime Search · forums · community | osu! I can't find the source! Have you ever had a photo but wanted more of those from the artist? More photos of your favorite cosplays? Which manga this page was? Well now you can use these in order to quickly find the source! This is actually an extension, and is made by saucenao. First, you must open chrome and open the link. After that, click on the button. After it finishes downloading, click on the in the menu that pops up. If you don't have Google Chrome, below are alternate things you can use instead. You can either upload from your computer, or use a url from a photo sharing service like imgur. Find the best photo matching, then click on the image and voilà! If you still can't find it there's more results. Though I have found the original post, I'll use this as if there was no relevant matches. SauceNAO has a great index library including Pixiv which iqdb does not have. Mostly when you can't find it on iqdb, you'll find it with saucenao. First, visit the link and you'll be greeted with a niece option to upload the image. You can upload it or use a direct image link. To use a direct image link, you'll have to press the "~advanced options~" button. Once again, I have found my image right away, but if you still haven't found yours, Click on the Low similarity results... button. Or use the Visually similar images function to find something close. After you have found something close, post that again in iqdb to do a final search. Then, congratulations, you have successfully performed a reverse image search of your photo! The general rule here is iqdb -> Google -> iqdb until you have found the image. TinEye is the same as Google which means it can be used other than Art searches. SauceNAO has a TinEye button too, right under the photo you submitted. You can also visit the website yourself. You can paste the direct link of the image and press Enter, or you can Upload the image by pressing the button as shown. TinEye is pretty much straightforward and will show the results. Usually the first result is enough. If you still didn't get a good result from iqdb or sacenao, you can still use the TinEye button. iqdb actually has another useful function, it's the 3d version, meaning real life models or cosplay and much more! It uses the same technology as iqdb.org, which gives post that have tags especially the artist themselves. First, you must upload your image to the website, or post the link in a photo sharing service like imgur. If there isn't one, it might in the "Possible matches"
Take note to be wary when using this service! WAIT: What Anime Is This? Have you had a certain scene but none of the services like iqdb find it? Well look no more, you can actually search the scene itself using these! As well as the episode number, even down the time of the scene itself. Can you find the source of the image at the top? Last edited by Kao April 20, 2019 at 4:37:51 AM GMT , edited 50 times in total. I usually use either SauceNAO or Google search for Reverse Image search... Haven't use the other two. oh god , great job! For someone who only use Google search, this is incredibly helpful. Wow. I can't get tired of this anime search one, I can play with it forever. does anyone ever try finding some doujin with these? I kinda curious about the result. Definitely download this if you use Google Chrome. It has all of those image searches (IQDB & Tineye are the best for sure) and it even lets you add your own if you know of any other ones. I often upload a picture of a thumbnail or low quality image I might have downloaded or found to quickly search for the full size using this. Last edited by Kao December 23, 2016 at 7:32:13 PM GMT , edited 1 times in total.